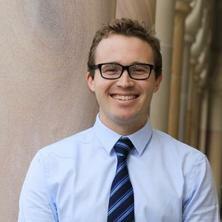 Rob Mullins is a lecturer in law at University of Queensland, where he has taught since 2015. Prior to taking up his position at the University of Queensland he completed a BPhil in Philosophy and a DPhil in Law at the University of Oxford. He was a lecturer in law at St Anne’s College, Oxford from 2014-2015. Rob’s research interests lie in legal philosophy, broadly construed. His recent published work has looked at the implications of accounts of the meaning and use of deontic language developed by logicians and linguists for the understanding of law. More recently, Rob has begun to consider accounts of legal reasoning developed in other cognate fields, especially by scholars working in artificial intelligence and law. Mullins, Robert (2015) Police misconduct in Queensland: a public wrong. University of Queensland Law Journal, 34 2: 287-299. Mullins, Robert (2016). Relational Norms PhD Thesis, University of Oxford, University of Oxford.